I am Chad Snyder. I am the President and General Manager of Snyder Landscaping & Lawn Care. I grew up in a small town in Southeast Iowa. I’ve always loved being outside working in the yard or helping on the farm. There was always plenty to do on our 500 acre farm. I mowed our acreage and a few neighbors’ yards using an old Snapper riding lawn mower. I was active in the local 4-H club, where I competed in gardening, artwork, rabbits, and sheep. I helped my mom and dad landscape our home as a young kid. I took ownership over a newly planted redbud tree, and I looked forward to showing my two brothers how my tree was growing bigger and faster than their trees. My mom designed detailed drawings with intricate plans for our garden each year that she expected us to help plant, maintain, and eventually harvest. Throughout the years, we planted and cared for over 1,500 pine tree seedlings between our home and farms. As I grew older, I found other interests while wondering what I wanted to do when I got older. Throughout my travels I’ve detasseled corn, sold pizza for fundraisers, worked for a landscaping company, worked in the retail industry, worked in the grocery industry, and graduated from college. All my experiences have taught me many different things about people, cultures, lifestyles, personalities, and diversity. I love producing artwork with the lay of the land and watching the smile on peoples’ faces as they come home and see that what used to be a weed-covered lawn is now a beautiful green landscape. In 2008, I bought a push mower and a snow shovel and started running my business full time. Today, if one person were to mow, fertilize, and water, it would take them 13 days working 24/7 to complete what my crew completes in one week—not including landscaping jobs! I have a vested interest every time you see my trucks on the road or my employees on a customer’s property. Our personalized service and my passion is what sets us apart from the rest. 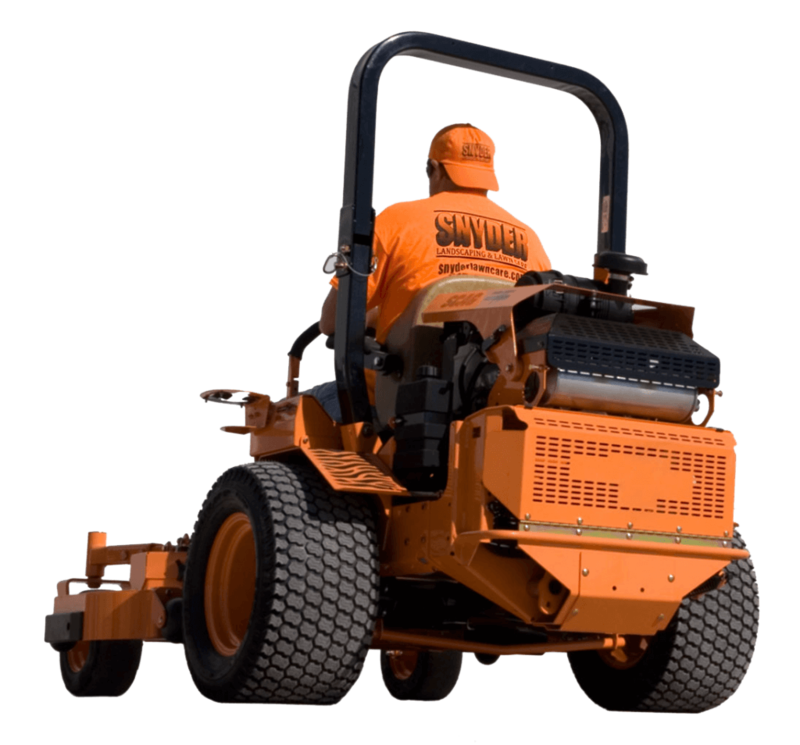 Our mission at Snyder Landscaping & Lawn Care is to provide the highest quality of service and maintain a local convenience. 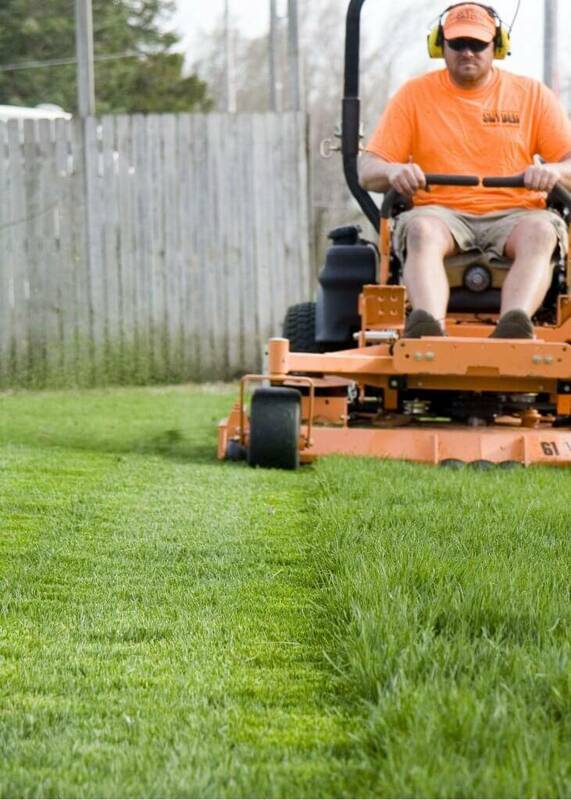 We will be your lawn care provider for life, provide prompt issue resolution, and do it right the first time! My company’s relationships grow stronger and broader every day, thanks to the loyalty of our customers, employees, friends, families, and suppliers. My motivation for running Snyder Landscaping & Lawn Care as an affordable quality/local convenience lawn care company is dedicated to my family, friends, customers, and community. Thank you for your loyalty and support.